The current drug epidemic is not happening in the dark alleys with society’s outcasts playing the featured role, as has happened in the past. Today’s addicts are good kids and good neighbors. Kids are being exposed to drugs at an alarmingly high rate, and according to Bob Stutman, former head of the DEA’s New York office, parents have never been more oblivious to and naïve about what’s really going on. 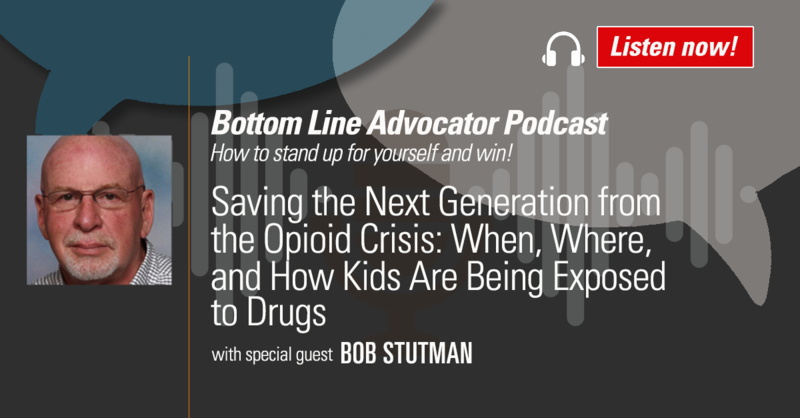 In this episode, Bob joins Bottom Line President Sarah Hiner to chronicle where and how kids are being subjected to drugs. In almost every case, it’s not the local drug dealer…it’s a brother, sister, cousin or best friend. It’s somebody who they love and respect. It’s common practice to preach, “Say no to drugs.” What was never taught? How to say no to drugs.